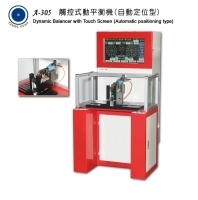 ● Using PLC and servo motor to control, unbalance angle will automatically stop at the point. ● To show off unbalabce amount,angle, tuming speed RPM and adjus data showind. ● Graphical interface (RADER CHART) and number to show date, Easily to leanm operate.